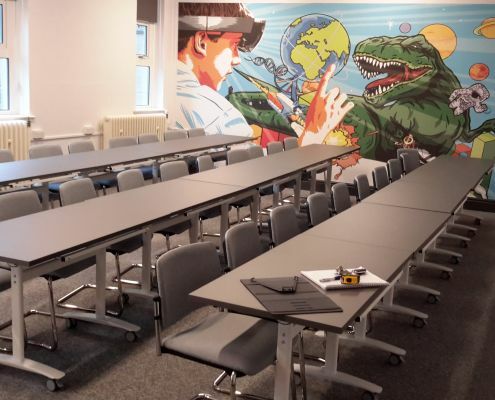 We feel that their mission has been accomplished with this amazing Microsoft training room, Carole Livesey our area sales manager for this area was delighted to supply the furniture for this room!. Carole Livesey, put forward functional,comfortable and high-quality desks and chairs for the Ribblesdale high school pupils. If you like the look of the desks we have supplied here then please do contact us today.